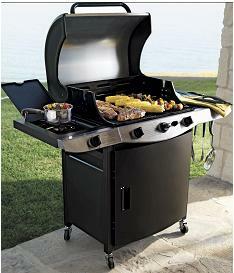 Hazard: The drip pan on the grill does not allow for adequate drainage, posing fire and burn hazards to consumers. Incidents/Injuries: The firm has received 11 reports of fires resulting from inadequate drainage. No injuries reported. 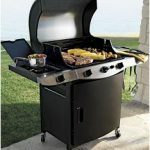 Description: This recall involves Cooks® brand outdoor BBQ grills. 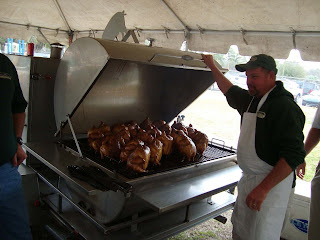 The grill has a digital thermometer on the hood, stainless steel top and a global LP regulator. Lot number 780-2176 is printed on the underside of the grill’s stand. Sold exclusively at: JCPenney stores nationwide and online at www.jcp.com from February 2009 through September 2009 for between $190 and $600. Remedy: Consumers should immediately stop using the recalled grills. To ensure the grills are not useable, consumers should remove the gas regulator and hose assembly. All consumers (whether they purchased the item online or at a JCPenney retail stores) should return the regulator and hose to the Catalog/Customer Service Desk at any JCPenney store for a full refund. Consumers should contact JCPenney for instructions on how to disconnect the gas regulator and hose. Everyone loves to have their favorite foods cooked to perfection on the grill. And learning how to marinate is an important step in achieving this perfection. marinating is a cooking method – or at the very least an important prelude to many cooking methods – that needs to be understood in itself. It is much more than simply soaking your favorite meat in your favorite salad dressing before slapping it on the grill. Or at least it should be! There are some tricks to getting it right and lucky for you, they are simple and you will learn them right here! You’re probably wondering if you really need to learn how to marinate for great grilling. My general mantra when it comes to cooking is that there are no unbreakable rules. So I guess, in sticking with that, you don’t HAVE to do anything. But before you decide your reading for now is over, let me give you some quick reasons why you might WANT to marinate. marinating meats imparts flavor, adds moisture, and can (to a degree) tenderize meat. The first secret to great marinating is learning how to match the correct marinate with the correct cut of meat and then apply the correct cooking method. This simple formula will produce great results every time. Proceed with Caution (but not too much!). In learning how to marinate, one of the things to determine is what meat you plan to use. A common mistake is to overestimate the meat tenderizing results that can be achieved with marinating. Yes, marinating will provide SOME tenderizing – but only some. You still cannot take shoe leather, marinate it and cut it with a butter knife. It’s not going to happen – and expecting that will only produce those disappointing results I mentioned before. Like anything else you cook, it is always best to start with good ingredients and to consider the end result you desire. In addition, muscle tissue will absorb marinate better than fat tissue so using an overly fatty piece of meat will result in very little marinating actually getting into your product. There is a Method to the Madness (and to the marinate). Making your own marinate is easy and ingredient options are virtually limitless. In most marinates, the essential ingredient is an acid, which acts as a slight tenderizer, but the type of acid you choose is completely open to your creativity and the type of dish you are making. Wine, lemon juice, tomato juice, balsamic vinegar, orange juice pineapple juice and margarita mix are all fairly common acids that work great in marinates. Adding oil is also an option, but keep in mind that the oil itself will not be drawn into the muscle tissue. Oil in this case is used solely for flavoring so if you use oil, choose a flavored oil. Fresh herbs and spices can also add flavor to marinates and you’ve got lots of choices here, too. When using herbs, remember that whole herbs release their flavor slowly so they work best for long marinates. If you are going with a quicker marinate, grind up the herbs before use to impart their flavor more quickly. Then you just make it up! Yes, you read that correctly. There is no recipe here because there are hundreds of recipes for marinates and I don’t know what you like or what you’re making. The key to cooking success is to learn the basic cooking methods, the techniques of achieving the end result you desire, and then let your taste, imagination and your unique situation be the guide for making up your very own marinate recipe, which might be different each and every time you marinate. The only Reaction should be a Good One. Always place the product you are marinating (with the marinate) in an air-tight container to keep the moisture in. Remember – one of the reasons we are going through this process is to add moisture so you don’t want to lose it at the same time! How long you let the juices soak in to the meat depends on how much time you have and the cut of meat you are using. The thicker the meat, the longer you will have to marinate to impart the flavor into the protein. Remember to use an acid-resistant container such as stainless steel. Don’t use copper or pewter as this can react with the acid, making those who eat the food sick. Finally, always store the container in the refrigerator for the entire duration – until you cook the meat. Remember to always discard the marinate after you have finished marinating and never re-use the marinate during the cooking process because it has had raw meat soaking in it for a length of time. In these ways, you are ensuring food safety. So – what will you make this weekend? Relax. You know how to marinate and you’ve got a whole summer of delicious experimentation ahead of you!